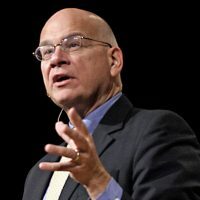 (JD Hall – Pulpit & Pen) Tim Keller was recently asked about the Dallas Statement on Social Justice and Gospel, and his words weren’t very kind. According to Keller, the statement can’t be judged based upon whether or not the words are right, but by the consequences those words might eventually bring about. To summarize Keller another way, the words contained within the Dallas Statement may be true, but they are still bad because of their ramifications. Unable or unwilling to explain any theological deficiencies in the statement, Keller cites Marxist philosophical tenet called Speech Act Theory.